Dr. Frank Chambers, a geneticist, has just given his resignation at the University of British Columbia. Set to complete project SYNAPSE, a ten-year endeavor that he is certain will mark a significant point in time regarding human evolution, Chambers and his team of international scientists head to the Kerguelen Islands off the coast of Antarctica. Chambers has one goal-to protect the information he has worked so hard to obtain. As Chambers works on the finishing stages of the project, an inexplicable discovery is made, thrusting him into an enigmatic spiral that transports him deep into the Giza Necropolis of Egypt. In the company of new friends, Chambers is determined to go to any length to expose knowledge and more importantly, the truth. 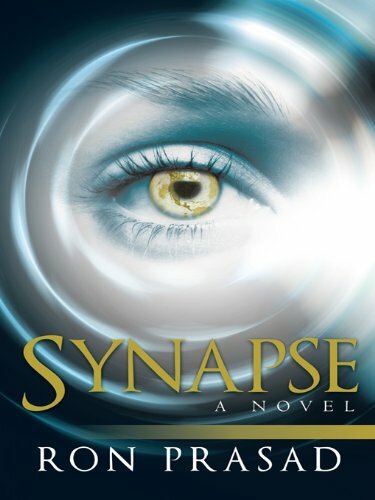 As stunning secrets hide within earth's layers, the SYNAPSE team soon uncovers evidence that has the potential to forever change the way humans view themselves, Earth, and each other. In this tale of action and adventure, a revolutionary scientist holds in his possession something so valuable that others are willing to do anything to get their hands on it. Now he just has to determine whom he can trust with his secret. His life depends on it.